NLC Solutions is a family-operated and full-service commercial cleaning company. We have over 30 years of experience in dealing with a wide range of commercial cleaning projects. When you choose to work with us, you can rest assured that we use the most effective cleaning methods to maintain your building. We understand that you have unique requirements, and that’s why we offer customized cleaning programs at the most competitive rates. Elizabeth is the 4th largest city in New Jersey and the largest in Union County. It has a population of over 130,000. In 2008, a popular science magazine recognized Elizabeth as one of the greenest 50 cities in America. Midtown is a historic section and the main commercial district of the city, which includes the St John’s Episcopal Church and the First Presbyterian Church, was known to be a battleground for the American Revolution. Floor Care in Elizabeth:Looking to get your floor waxed or your carpets scrubbed and cleaned? NLC solutions has got you covered with stellar floor care services. Industrial Cleaning Services in Elizabeth: We employ deep cleaning methods to achieve a hygienic environment for your business. Green Cleaning Services in Elizabeth:At NLC Solutions, we only make use of non-toxic cleaning products. They do not have any adverse effect on the environment. Cleaning Supplies in Elizabeth:We provide commercial and medical grade cleaning supplies to keep your janitorial inventory well-stocked. Looking to get a custom quote for your commercial cleaning needs? 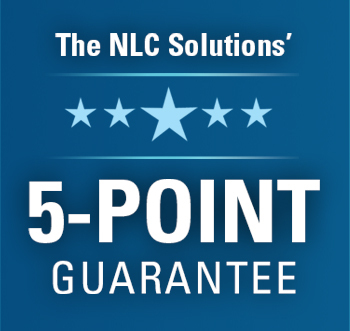 Give us a call today at (908) 753-3900 or drop us an email at info@nlcsolutions.com for more details.